Blackheads can be seen around the eyes, foreheads and cheeks. 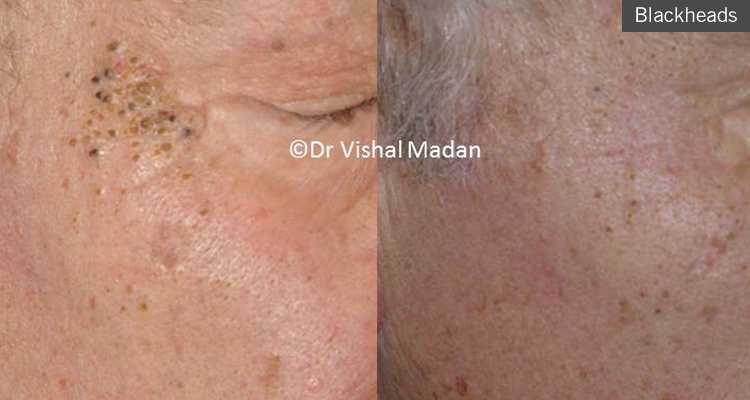 These not only appear in acne but can also appear in sun damaged skin. 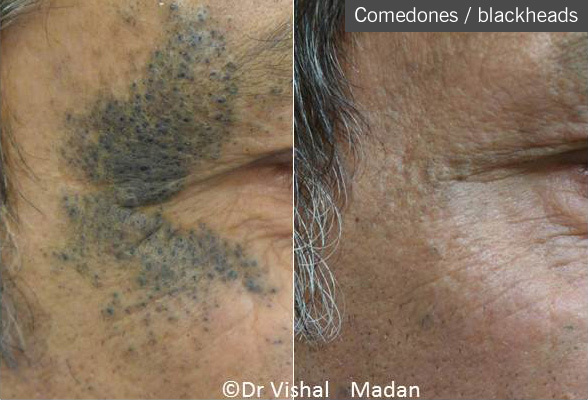 A modified laser technique is highly effective in the treatment of these lesions. Rai S, Madan V, August PJ, Ferguson JE.Favre-Racouchot syndrome: a novel two-step treatment approach using the carbon dioxide laser. Br J Dermatol. 2014 Mar;170(3):657-60.